You are invited to experience the plight of our fragile planet and its changing environments, in a totally new way, in cutting-edge 3D! Hosted and narrated by Walter Cronkite, SOS Planet uses state-of-the-art 3D and digital animation to explore three of the planet's most troubled environmental areas. 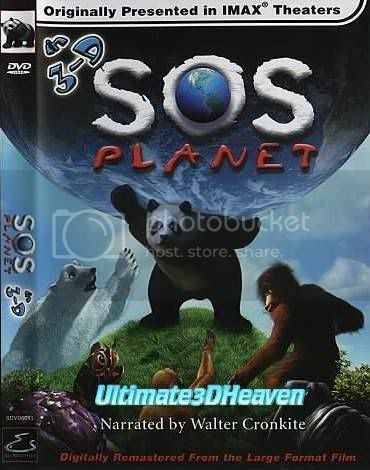 With the immersive effect of 3D and stunningly realistic computer-generated animals, this giant screen film plunges audiences into lush environments, blending live action and animation to illustrate some of the greatest dangers facing the Earth today: global warming, rainforest deforestation and depletion of the oceans.